Clay by name, clay by nature. Around 30 developers, manufacturers, financiers, journalists – and a politician or two – descended upon a 45 acre plot of land near Flitwick early on 26 September in various states of preparedness for the mud. Climate minister Claire Perry quipped that the site was appropriately named, but it wouldn’t dampen any enthusiasm. Clay Hill Solar Farm, formally opened by Perry around five minutes later, was a landmark achievement for UK solar. At 10MW in size, Clay Hill Solar Farm is the UK’s first built in the absence of any government support. Construction started roughly two months after the Renewables Obligation slammed shut and long after the eligibility window closed. It was not one of the few lucky enough to receive Contracts for Difference support before the government whipped that particular carpet out from under the industry’s feet. Clay Hill, it transpires, has been financed without subsidy. The immediate question from the industry was simply; How? Anesco has worked tirelessly with its supply chain to whittle its costs down as much as possible, so much so that Perry lauded the company’s “supply chain engineering” in opening the plant. Chinese manufacturer BYD supplied more than 30,000 315W poly solar panels for the project alongside 6MW worth of battery storage, housed in five 1.2MW containers. Anesco’s relationship with BYD spans back more than four years and the duo will continue to work together in the future. The inverters, supplied by Huawei, also play a pivotal role. Anesco is the first in Europe to use Huawei’s new 1,500V inverters which make use of various innovations to both boost power yields and fail far less frequently. 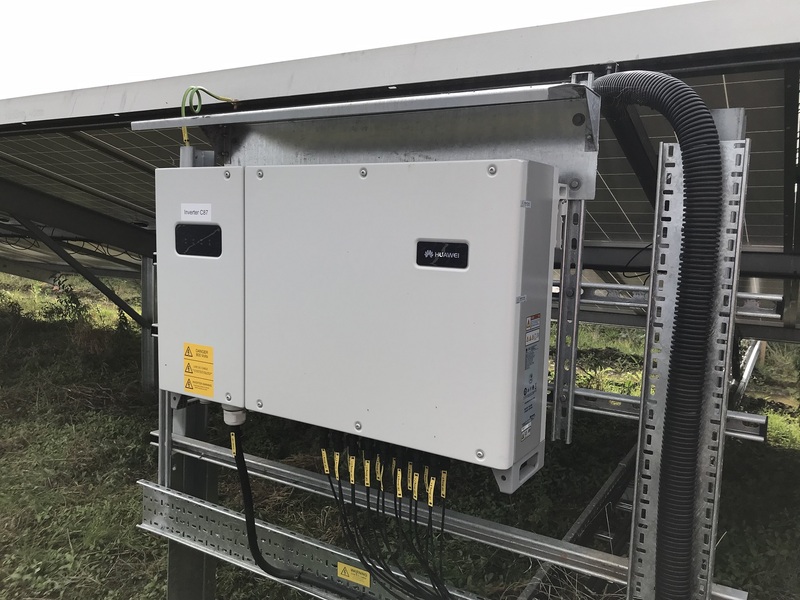 Each of the 156 inverters includes maximum power point trackers and 12 directly connected string inputs which improve the flexibility of PV strings, maximising yields further. The site too was built under very specific circumstances. Adjacent to Clay Hill is another, entirely separate solar development dubbed Hermitage. That 5MW site was connected under 1.2 ROCs and established all the required grid connections, further reducing the cost of Clay Hill’s development. The export of generated power – estimated to be more than 9,000MWh per year – will also be backed up by revenue streams linked to the batteries. National Grid, the UK’s system operator, has been forthright in its need to procure grid balancing services from generators and batteries alike and Anesco is only too keen to take them up on the offer. Clay Hill will bid for revenue streams from various tenders – both Enhanced and Fast Frequency Response, and the Capacity Market – when ready. It’s for this precise reason that, interestingly, the batteries are currently sitting idle. One of the prerequisites for the bidding into the Capacity Market is that all projects hoping to pre-qualify must be newly built, for the mechanism itself to truly claim to be stimulating new capacity. Anesco, bending – but certainly not breaking – the regulation will therefore not be turning the batteries on until after they are expected to be pre-qualified to bid for Capacity Market tenders in mid-November. 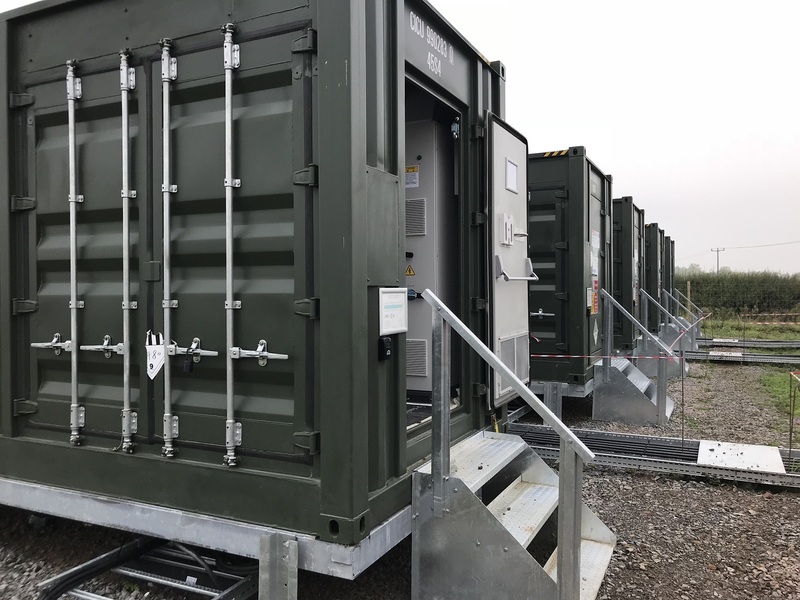 The batteries will also be brought into Limejump’s aggregation, further strengthening the business case behind co-locating 6MW of batteries with 10MW of ground-mount solar. Given the Goldilocks-esque situation Clay Hill has benefited from it would be easy to conclude that this project is a one-off. A fluke. But that is to do Anesco’s endeavours an injustice and to discredit a significant amount of ingenuity from the entire solar supply chain. The message to take then is also not that grid-parity solar – the fabled destination of travel for all renewables – is here and now and, to their credit, Anesco has made it abundantly clear that this is not what its announcement is about. The company’s chairman Steve Shine said that the company does not need subsidy. Patently, it doesn’t. But it, and more importantly its financiers, need certainty if they are to back projects like this from coming to the fore and help PV on the grid-parity glide path. Subsidy-free – or market-stabilising, as is the government’s apparent favoured term – Contracts for Difference awards could be one such way of providing certainty. So too would far more concrete, reliable and regular grid balancing services tenders that have been teased by both National Grid and Ofgem. Anesco insists it can achieve more projects like Clay Hill as UK solar continues on that glide path towards grid parity, and there are whispers that further developers could join them sooner rather than later. But it’s Anesco that has stuck its flag in the ground first and Anesco that will be remembered for breaking UK solar’s subsidy-free duck. The announcement made national (and international) headlines. Broadsheets like the Financial Times and the Telegraph featured it prominently, as did Channel 4 News that evening. It was even mentioned on the Department for Business, Energy and Industrial Strategy homepage in what is certainly the most positive solar-centric headline to do so for quite some time. BEIS was quick to revel in Anesco’s achievements. It now needs to deliver and ensure the limelight is shared.